2 editions of Iraq found in the catalog. Add another edition? Published May 22, 2007 by Bloomsbury Academic . 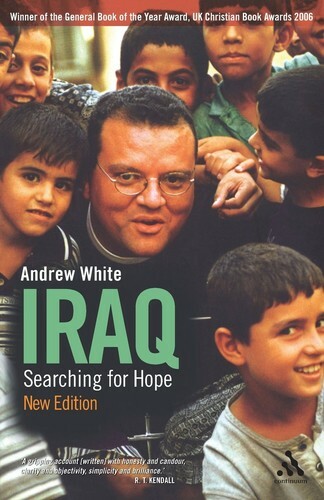 As hostilities in Iraq continue to dominate the media, and the US led coalition's approach to the war and the reconstruction of Iraq increasingly in question, Andrew White's is the voice of authority, always realistic but never without hope. But where is hope now? What is the future for Iraq? This is the fascinating, first-hand account of one man's deepening involvement over seven years with Iraq. As an envoy for peace, Andrew has dedicated himself to religious and political reconciliation in Iraq and frequently risked his life. In this new edition, Andrew White reflects on whathe has seen in Iraq during his ongoing visits since 2005, including the escalating violence, working with the military and the involvement of the Americans. He also assesses what he considers mistakes in the peace process. Among the more dramatic moments are the trial of Saddam, at which Andrew was present; the abduction of the leaders of St George's church and their presumed death; and hostage crises including the death of colleagues. Andrew's personal struggle has been very real, but he describes that even at the worst moments he does not lose hope. Is it appropriate to speak of 'evil'? Doesn't religion do more harm than good? Can there be peace between religions? Whose side are the media on? What is so special about Iraq? November 25, 2017 Edited by Todays Martyrs Reviewer Edited without comment. November 25, 2017 Created by Todays Martyrs Reviewer Added new book.